Schaeffler UK is providing regular patrol monitoring and vibration analysis services to a UK-based energy-from-waste (Efw) facility. 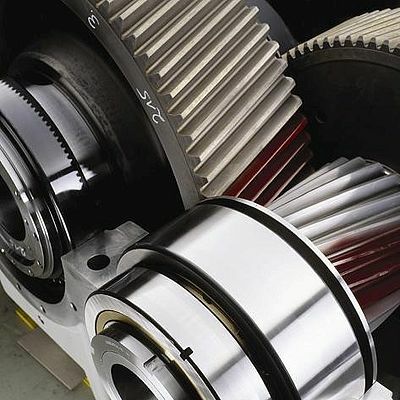 By analysing the vibration data from a range of critical plant and equipment at the site, Schaeffler is able to detect damage to components such as rolling bearings and gears early, therefore eliminating any costly, unplanned downtime and prolonging the life of motors and gearboxes that drive a variety of critical fans, conveyors and pumps. Since 2012, as part of its annual service contract with the customer, Schaeffler UK has been providing regular on-site vibration monitoring and analysis services to the Efw facility. The site generates electricity by burning hundreds of thousands of tonnes of household and commercial waste each year. During each visit, a Schaeffler field service engineer takes vibration measurements on 60-70 items of equipment to identify any deterioration of rolling bearings and other general mechanical components on a variety of critical plant and equipment at the site. This equipment includes electric motors, gearboxes, large primary, secondary and induced draft air fans, conveyors and pumps. This equipment is located on separate lines that feed separate furnaces at the site. Any unforeseen downtime to these lines would be costly, resulting in ‘lost’ production. 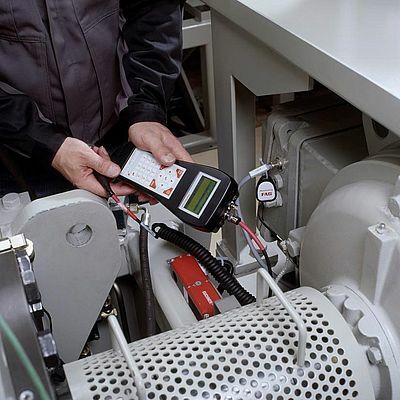 Vibration measurements are made and stored using Schaeffler’s FAG Detector III handheld vibration monitoring device. With its free of charge software, ‘Trendline’, which includes a database of more than 20,000 different bearing products from different suppliers, this device enables the user to collect, store and analyse vibration measurement data. Used in combination with the data viewer, the bearing database is ideal for assessing a machine’s condition. The FAG Detector III is used to measure and record vibration data at each selected measurement position on the patrol monitoring route. The three basic measuring parameters are velocity, acceleration and enveloped acceleration. The measurement data is then analysed by the Schaeffler field service engineer, who then writes an analysis report and recommended action list for the maintenance team at the site. The report typically includes Acceleration and/or Velocity Trend plots that show pre- and main alarm limits and how the vibration data has varied over time.